An off-exchange plan is just a health insurance policy that is purchased directly from the carrier or through an agent or broker, outside of the state or federal healthcare.gov health insurance exchange and typically have an easier application process. Off-exchange plans are not eligible for subsidies or financial assistance. Many plans are sold both on-exchange and off-exchange. If the same policy is sold on and off exchange, the price will be the same. Some carriers opt to sell identical plans both inside the exchange and outside the exchange. These are sometimes referred to as "mirrored" plans. For those plans, the premium will not vary, regardless of whether it’s purchase on-exchange or off-exchange (of course, if you qualify for a subsidy, the after-subsidy price will be lower in the exchange). But carriers can choose to offer different plan designs or networks for their on-exchange plans and their off-exchange plans. If a carrier is offering plans outside the exchange that are different from the plans they offer inside the (healthcare.gov) exchange, the pricing will be different too – although all of the carrier’s enrollees will be in a single risk-pool. 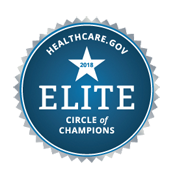 These off-exchange plans typically have richer benefits than the on-exchange plans because the off-exchange plan members spend significantly less than on claims than members enrolled through their state or federal healthcare.gov marketplace. If you qualify for a subsidy, enroll in an on-exchange plan to lower your premiums and possibly deductible and copayments, if you qualify for a Cost Sharing Reduction and enroll in a Silver level plan. If you don't qualify for a subsidy, enroll in an off-exchange plan. Some carriers offer richer plan options that are not available on-exchange and expedites the enrollment process by avoiding the need to verify your eligibility and income.